Richard Miller teaches a relaxation method known as Yoga Nidra. In one of his talks he speaks about the idea that there is a continuity of being rather than a separate self. Opening up to stillness can help us access a state of mind where nothing distracts us as we can be open to the whole. In stillness, each moment arrives and I know exactly what to do or disharmony arises in the body. 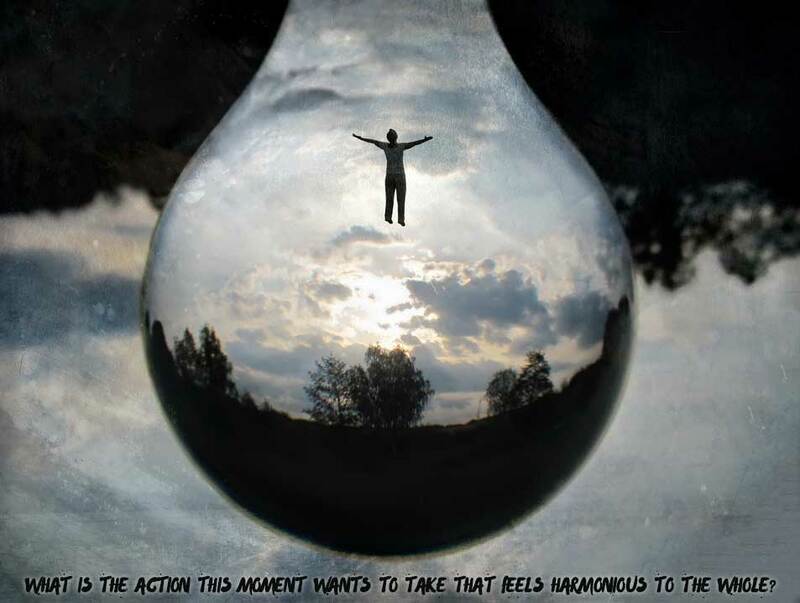 What is the action this moment wants to take that feels harmonious to the whole? instead of asking ‘What do I need to do next?’. This is difficult for us because in giving agency to the moment the self is not in control. If we are truly in the moment, says Miller, we do not where we are going, we are blind to the next moment. Today, practice asking this question and notice how it changes your attention to the need of the moment and how this may be in conflict with what you thought (the individual self) you would be doing in that moment. How can we stay in harmony with the moment, when we have a deadline and our body says ‘Enough’, for example? The friction between these two questions can teach us a great deal about the places in our lives that do not align with the harmonious whole.